The Carteret Office of Emergency Management (OEM) in a mutual partnership with Police, Fire, EMS, and other Borough Departments and in coordination with federal, state, county, and other local municipalities work to prepare for and respond to any man-made or natural hazard that may jeopardize life and property. 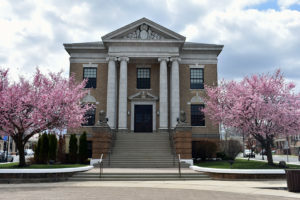 The Carteret Office of Emergency Management is responsible for overseeing the borough’s Emergency Operating Plan (EOP) as one of the four phases of emergency management; mitigation, preparedness, response, and recovery. Preparedness takes the form of plans or procedures designed to save lives and to minimize damage when an emergency occurs. Planning, training, and disaster drills are the essential elements of preparedness. These activities ensure that when a disaster strikes, emergency managers will be able to provide the best response possible. Disasters are caused by high winds, floods, releases of deadly chemicals, fires, ice storms, earthquakes, as well as other man-made or natural hazards. When disaster strikes, the best protection is knowing what to do. Response is defined as the actions taken to save lives and prevent further damage to property in a disaster or emergency situation. Response is putting preparedness plans into action. Response activities may include damage assessment, search and rescue, fire fighting, evacuation, and sheltering victims. Membership Information: Members of the public interested in joining this professional public safety agency may do so by printing and filling out our Membership Application and mailing it to Office of Emergency Management, Borough of Carteret, 183 Roosevelt Avenue Carteret, NJ 07008. 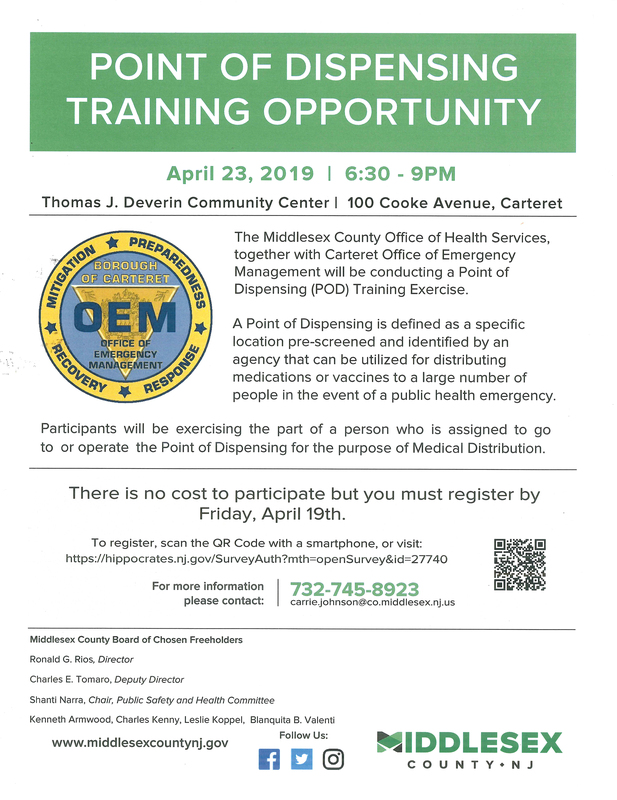 You may also e-mail us at oem@carteret.net if you have any further questions. Membership Requirements: Requirements for membership are 18 years of age or older, must be a US citizen, possess a valid NJ drivers license, live within 20 minutes of the Borough of Carteret, interview with OEM Officer Staff and pass a New Jersey State Police background check.